Unless you’re talking to tech geeks, SEO usually gets lumped in with genius-exclusive activities like coding or hacking. This makes sense, when you think about it, because, at one point, SEO was a little bit like hacking. Back in the good ol’ days, so-called “black hat” SEOs used to find creative ways to game the search engine system and manipulate low-quality pages into ranking at the top of Google’s charts. While search engines and user preferences have dissuaded many of these practices, there’s still a massive difference between good and bad SEO, and knowing which is which can make all the difference in your online presence. 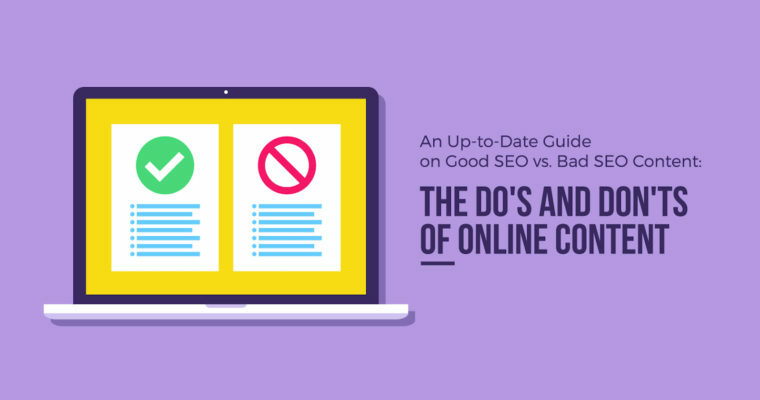 I’ve created a current, up-to-date guide on the major good and bad SEO tactics so you know what to do, and what to avoid, in your content creation — down to Google’s recent mobile penalty update. Are You a Good SEO, or a Bad SEO? It’s true: even if you’re not purposefully creating keyword-stuffed content or pages crammed with manipulative links, you might still be partaking in bad SEO. The reason for this is that Google, the veritable God of the search engine universe, changes all the time. Over the years, Google has rolled out algorithms with names like Hummingbird, Panda, Penguin, Pigeon, and more. With such a zoo of changes, it’s easy to see how one could fall behind the times where SEO is concerned. While Google isn’t making all these changes to drive SEOs insane, it’s not at all uncommon for SEOs and marketers to only learn the details of an algorithm update once it has already rolled out, and is actively affecting their sites. As Google pushes for a more unified, accessible, high-quality web, the changes it makes to things like mobile-friendly rules, search ranking practices, content ranking guidelines, and more can have a dramatic and distinct impact on SEOs. 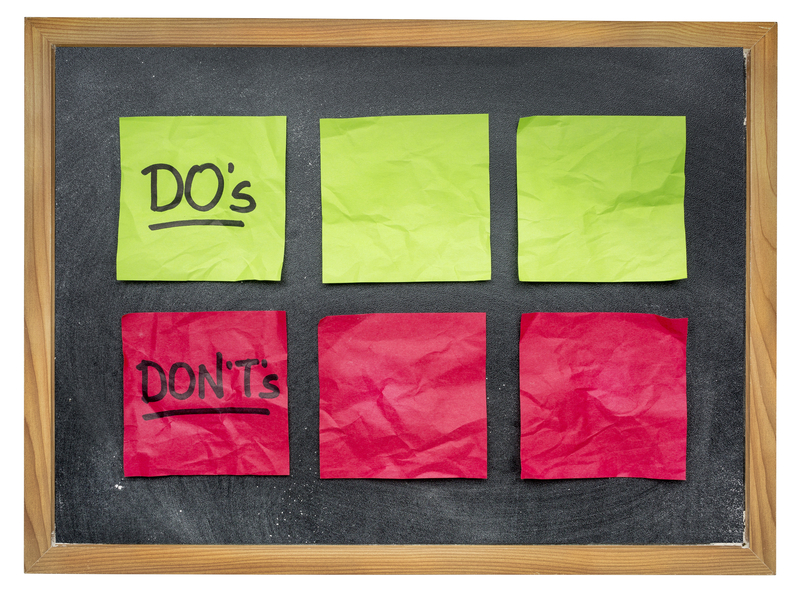 These changes can turn good SEOs to bad SEOs in the blink of an eye, or the click of a mouse. If you’re wondering if you might be a bad SEO, ask yourself this one question: do my SEO habits destroy user experience for my visitors? If the answer is “yes,” you might be a bad SEO. Today, Google is downright obsessed with creating a digital environment that puts the user first, and rightfully so. Google gets more searches right now than it ever has before, and many of them are coming from new and different platforms like mobile phones and tablets. In fact, of the more than 2 trillion searches Google processes each year, more than half come from mobile devices. In addition to the fact that these mobile searches have changed the way people search (it’s on the go, local, focused on researching products, goods, and services, and dominated by voice search), they’ve also changed the way search engines want to successfully relate to their searchers. This update, which takes aim at intrusive pop-up ads that affect mobile users, is a prime example of why being a good SEO is so crucial in today’s environment. 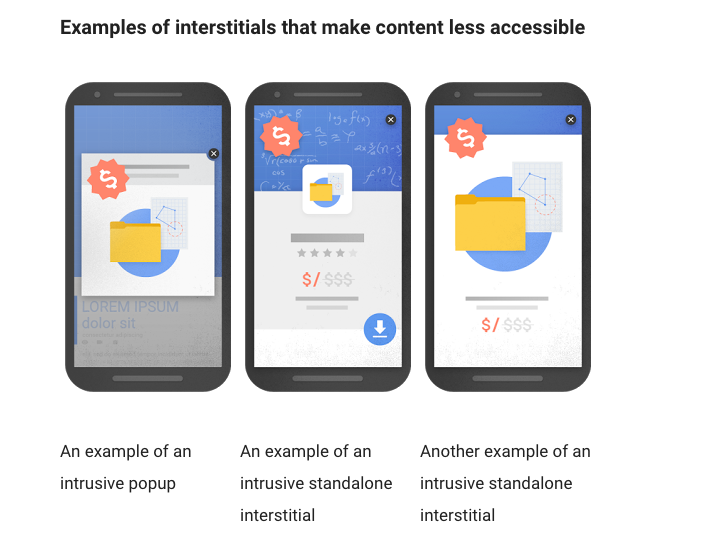 “Although the majority of pages now have text and content on the page that is readable without zooming, we’ve recently seen many examples where these pages show intrusive interstitials to users. While the underlying content is present on the page and available to be indexed by Google, content may be visually obscured by an interstitial. This can frustrate users because they are unable to easily access the content that they were expecting when they tapped on the search result. If you’re wondering why Google cracked down so hard on these ads, the answer is simple. Like the developers said in their statement announcing the intent to unleash this update, intrusive ads have a negative impact on user experience. As such, anything that falls into the “intrusive pop-up” category is labeled “bad SEO” and, in Google’s eyes, deserves to be punished. When it comes to Google, you want to stay in the search engine’s good graces — and thus, your readers and the people using Google. While it’s not impossible to recover from Google penalties, it is challenging and time-consuming, and it’s much easier and more efficient to master good SEO from the start. While buying links might seem like a quick way to game the system and help your site rank, it’s guaranteed to backfire. Here’s why: before search engines were as smart as they are today, it was possible to get away with buying links, since crawlers were more concerned, at that point, with quantity than quality. Not so today. Now, Google and other search engines have evolved into honed machines that place more value on the quality of links than they do the quantity. While any site can create a bunch of spammy internal or external links, it’s significantly harder to earn high-quality links from reputable sites, and this is exactly what search engine bots want to see. To put this another way: buying links is like buying Instagram followers. It won’t work, and you’ll look silly doing it. While reading other blogs and leaving thoughtful, valuable comments is a great SEO approach, copying and pasting general comments that include a link to your site isn’t. Again, Google and search engines like it believe that any link to your site should be earned through quality content. Anything less than that just won’t do. What’s more, spamming other bloggers is harmful to user experience — both for the blogger in question and for the readers who must slog through spammy comments to leave their own valuable and thought-out comments. Google doesn’t take kindly to this, so avoid the practice altogether. The only possible exception is if you’ve read a person’s post and have a piece of content on your site that will genuinely add to the discussion (not just make you some money). In that case, a link can be acceptable. Anchor text serves an important purpose in the world of online link building. For search engines and people alike, anchor text gives a preview of what a link will be about and helps people draw value from a piece of content. It is possible to abuse anchor text, though, and doing so is a “bad SEO” practice. Unfortunately, many people don’t realize this, and beginning SEOs are especially susceptible. Here’s how it works: if a person started a content marketing firm, and was trying to get their site to rank for the keyword phrase “content writing services,” they might link back to the site 50 times, all with the same anchor text. Google sees this, though, and the search engine knows what you’re doing. 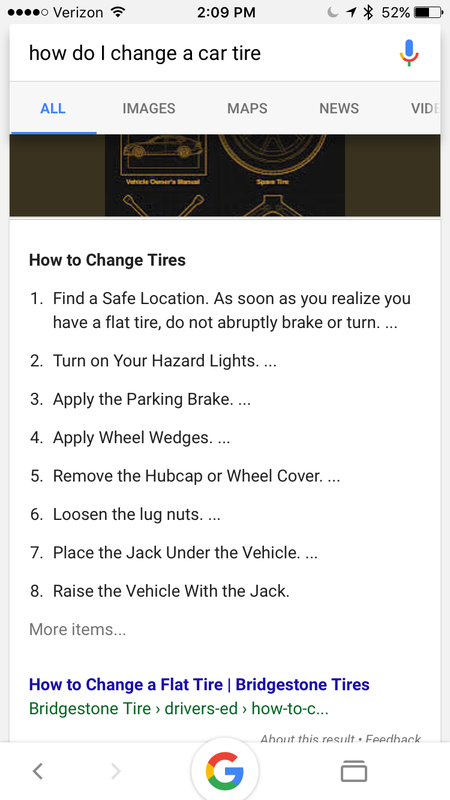 Instead of seeing duplicate anchor text, Google wants to see companies using branded anchor text, which means using a company name to link. In addition to inspiring trust, these links have a lower propensity to be misused. This is a MAJOR no-no in the world of SEO — for many reasons. For one, content is what makes the web run, and it’s in the search engines’ best interest to have lots of it and to ensure that most of it is high-quality. Search engines know high-quality content takes time, though, and they’re unwilling to allow people who aren’t willing to invest that time to rip off other people’s effort. As such, duplicating any piece of content from another author, site, or source will result in a hefty Google penalty. It’s easy to think you’re probably OK here, but don’t skip over it so quickly. In some cases, however, duplicate content doesn’t even come as the result of blatant plagiarism. In fact, many people copy their own content without even knowing it. This is especially prevalent in places like meta titles and descriptions, and product pages where products are very similar but not identical to one another. An example would be a company that sells polo shirts and uses the same product description for a green polo shirt as it does a blue polo shirt, instead of writing two different descriptions. To keep your SEO on the up-and-up, and avoid Google penalties in the process, ensure that all the content you publish on your site and in your meta fields is entirely unique and original. Before search engines evolved to their current station, they paid a lot of attention to keyword phrases to rank sites. For example, if a site featured 300 words of content and used the phrase “New York bagels” 30 times, Google would have gone, “Ah, yes. This page is about New York bagels,” and ranked it accordingly. Today, however, the focus is user experience, and nothing dampens user experience quite as quickly as keyword stuffing. After all, who wants to be hit over the head with the topic of a page as they’re trying to learn something new or answer a question? As search engines have gotten smarter, the importance of keywords has shifted. While they’re still critical for helping search engine bots decipher and categorize pages, said bots are more sensitive than they’ve ever been before to “keyword stuffing” — the practice of incorporating a keyword phrase into content over and over. Today, Google (and the people who use it) want content that offers value, not hat tricks. With this in mind, keywords should be included, but they should always be sprinkled naturally throughout the content. Over-optimize for your keywords or stuff them in there like you’re filling a piñata, and you risk a hefty Google penalty. 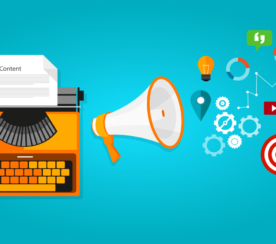 While it’s true that you don’t want to overstuff your content with keywords, you can’t abandon them altogether. Today, however, keyword research is all about user intention. This means that, instead of finding a single keyword phrase and hammering it again and again, you’ll want to make use of things like synonyms, answers, and content grouped around topics instead of individual terms. 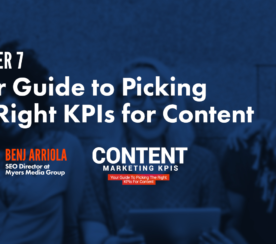 This is especially critical since the release of Google’s RankBrain update in 2015, and adhering to the practice will boost your content’s value and help you become a trustworthy source of online information. If you run a brick-and-mortar business, optimizing your content for local SEO is a great way to land customers and help Google help you. Simple things like claiming your business listing and using geo-focused keywords throughout your site can help identify you as a local business and help you make use of the 20% of all searches that are locally-focused. Remember how much focus search engines place on user experience today? Of course you do. If you’re wondering how to capitalize on that, the answer is conversational content. This is important for two big reasons. For one, conversational content is just more enjoyable to read. The second thing, however, is that 20% of Google’s mobile searches are voice searches, and these voice searches are highly conversational in nature. That said, creating conversational content that bears in mind the questions your users would ask and the language they’d use to ask them can land you in the coveted “rich answers” segment of Google’s SERPs. Schema is one of those techy SEO things that makes people run for the hills. It’s critical, though, and using it on your site can make a mountain of difference in your SEO standing. Schema markup is a collection of HTML tags users can add to pages to create rich snippets in SERPs. Common with companies who want to create rich snippets for content relating to music, products, videos, and recipes, Schema is a critical SEO tool for white hat SEOs. Links are essential to ranking well, but earning them is tough. One way to do that is simply by creating a volume of consistently amazing content. All of those areas get updated weekly. It’s a full-time job for two people, but we’ve never once had to ask or buy a link — we earn them consistently when our content gets picked up and shared. It’s even been picked up and linked to by major influencers! 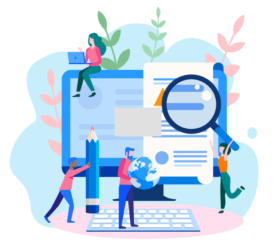 By building trust and demonstrating authority, resource-laden sites can attract high-quality links from around the web, which, in turn, boosts your SEO incredibly well. A mobile-friendly step that can boost your site’s ranking in mobile search, AMP is an open-source code you can install on your site to help your content load at lightning speed on mobile devices. Guaranteed to be a massive ranking factor in 2017 and beyond, decreasing your mobile load time is a wonderful step toward increasing your user experience. As a general rule, any SEO tactic that’s meant to trick your users or search engines is a bad one. This includes things like hidden content. At the end of the day, a great guideline for good SEO is simply to put your users first. If you do this and make user experience your top priority, the chances that you’ll stay in Google’s good graces and serve your readers well is massive. If you’re a recovering “bad SEO,” 2017 is a year of promise and opportunity. While it’s true that SEO is fluid and changing constantly, it’s also true that you can get on top of it by keeping a few key things in mind, like that you always need to honor user experience, and that quality is essential in everything you do — from links to keyword research. When you remember these simple tips, it’s easy to ditch bad SEO forever and find yourself on the up-and-up, both with Google and your readers.